LUNCH SEMINAR: South Sudan in crisis – which way forward? When: 15 December, 12:00 – 13:30. South Sudan imploded into a civil war on 15 December 2013, barely two years after its independence from Sudan. A power struggle within the ruling party turned violent, unleashing a brutal civil war, largely fought along ethnic lines, that quickly spread to most parts of the country. The civil war subsequently drew in several armed groups and witnessed some of the worst atrocities on civilians. The IGAD brokered peace agreement signed in August 2015 by the warring parties and other stakeholders is barely holding. Which path forward can South Sudan trek now? How can political parties play a role in fixing the political quagmire? What can Norway and the international community do? 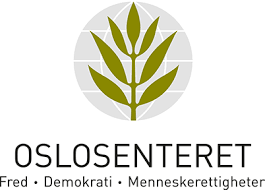 The Oslo Center has the pleasure of inviting you to a seminar to discuss the situation in South Sudan exactly three years after the outbreak of the conflict. Hilde Frafjord Johnson, former Special representative of the UN Secretary General to South Sudan and former head of the United Nations Mission in South Sudan(UNMISS), author of three books on South Sudan. Erling Skjønsberg, Norway’s special envoy to Sudan and South Sudan, former Ambassador to Georgia, Azerbaijan and Afghanistan. The seminar is free and will be held in English. A light lunch will be served.